Sonny Perdue has been confirmed as US Secretary of Agriculture. Farmers in the US have breathed a sigh of relief after the confirmation of Sonny Perdue as US Secretary of Agriculture. Mr Purdue was nominated before Donald Trump’s inauguration but the confirmation process was postponed while the White House submitted his ethics paperwork. He has previously been Governor of Georgia, has a doctorate in veterinary medicine and was raised on a dairy farm in Georgia. The US NFU said the period without a leader in agriculture had ‘concerned and dismayed’ farmers and ranchers as they faced a ‘farm crisis’ and drastic changes in Government policy. NFU president Roger Johnson said he was ‘relieved’ Mr Purdue’s appointment had been confirmed and he was optimistic he was ‘up to the task’. “Following his confirmation, Mr Perdue will need to work immediately to address the depressed farm economy, offering assistance to struggling farmers across the country,” he said. United Fresh Produce Association also welcomed the appointment. United Fresh senior vice-president for public policy Robert Guenther said USDA had been without a leader for ‘far too long’. 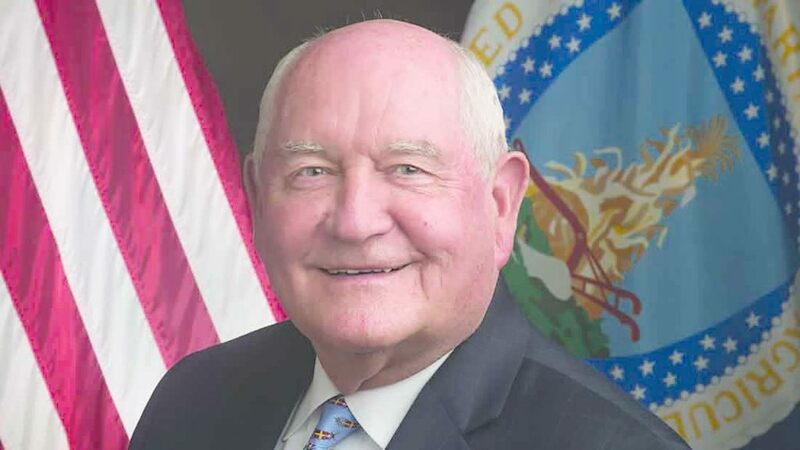 “As Governor of Georgia, Sonny Perdue was a great friend to the fresh fruit and vegetable industry and we look forward to working with him once again to ensure all Americans have access to healthy, nutritious foods," he added. But environmental groups have opposed the appointment; with Friends of the Earth (FoE) warning that as a Governor, he had prioritised corporate profits over protecting farmers, workers and consumers. Before the vote, FoE campaigner Tiffany Finck-Haynes said: “His long-standing ties to major agribusiness and chemical companies have made him out of touch with American values." She added he had ‘conflicts of interest’ and a history of denying climate change. “The USDA needs a champion who will support small family farmers, food safety standards, and healthier food - not another shill for big agribusiness," she added.